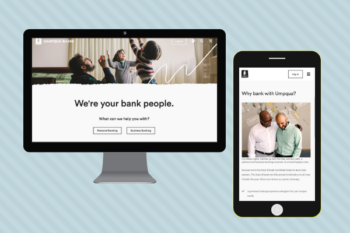 When we ask our clients which financial websites they look to as inspiration for their own, Umpqua Bank’s website is one of the most commonly cited. 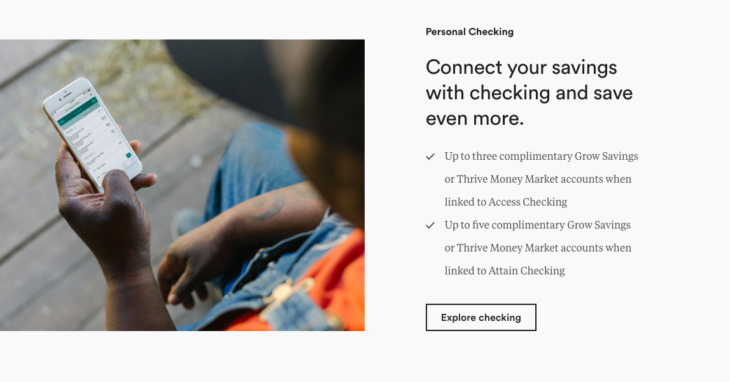 We’re fans of the site too, so we’re taking a look at what makes it so popular and what could be done even better — and providing you with actionable steps to make Umpqua-inspired improvements to your own credit union site. Umpqua Bank knows who its audience is and has a brand voice to match. Like so many companies today, Umpqua is targeting millennials, and it hits just the right note with its playful tone. With slogans like, “We’re the kind of bank you’d take home to meet your parents,” it’s showing a more casual, light-hearted personality than the average (dare we say, stodgy) bank or credit union. Not only is the voice perfectly tuned to the audience, but it is also maintained throughout the site. 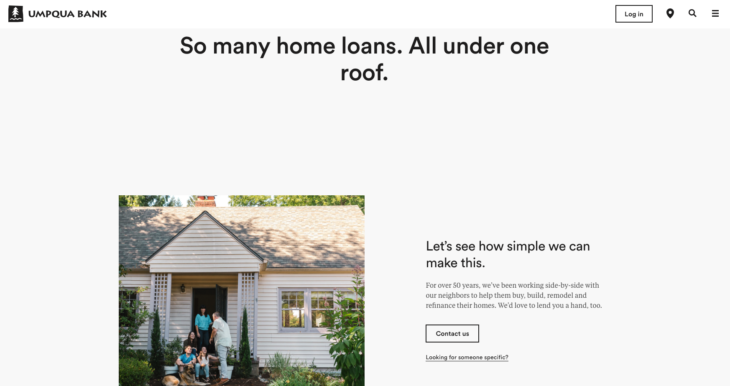 It avoids one of the most common mistakes credit unions make with their websites—that is, focusing exclusively on a few top-level pages and leaving the rest looking like it was either forgotten or belongs to another organization altogether. Umpqua’s brand voice is integrated perfectly with the multimedia content on the site. 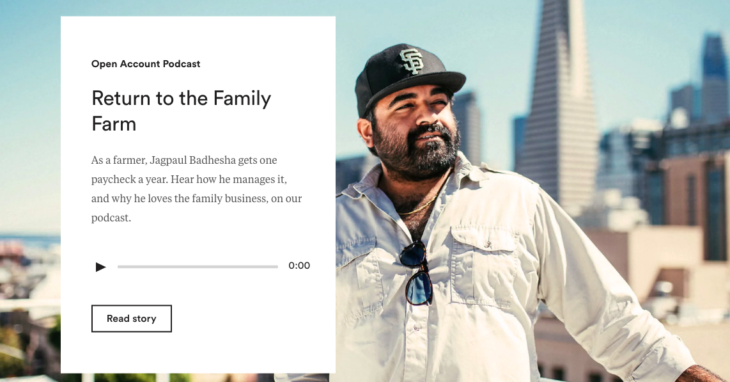 With photography and podcasts highlighting real customers and their stories, visitors see social proof that Umpqua is invested in its communities and in helping people like them. 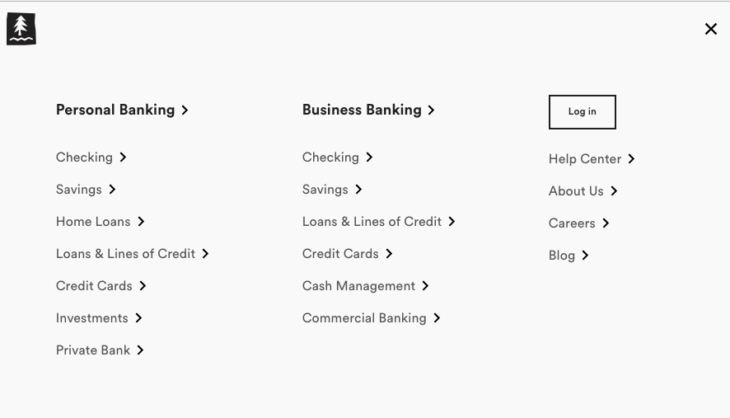 Where a lot of banks and credit unions clutter their webpages with busy promotions, Umpqua makes bold use of white space. This both distinguishes them from other financial sites, and adds focus and clarity to their most important offerings. It eliminates “banner blindness” and choice overload so the visitor is not overwhelmed. While there is less on a page, it certainly doesn’t mean it takes less effort. (Think of Mark Twain’s witticism, “I wrote a long letter because I did not have time to make it shorter.”) Creating an intentionally sparse page requires a deep understanding of a financial institution’s strategy, target market, and visitor goals. One of our core values here at PixelSpoke is Improve Every Day, so we review all our projects to see what we can do better next time. Like all websites, Umpqua’s presents a few areas of opportunity. While there is clearly an effort at mobile-first navigation, the site takes it a little too far—what makes the user experience cleaner and simpler on mobile can actually make things more cumbersome on desktop. For example, using a hamburger menu (the three small lines in the top right corner) makes sense on mobile because of the limited page real estate, but on desktop it requires the user to think more than is necessary—he or she has to make the connection that the icon means the same thing as it does on mobile (hamburger menus are not widely used on desktop), or even understand what the icon means at all. The user then has to take the extra click to expand the menu items — and the user must take this extra action every time he or she wants to visit a different page. It’s much simpler for those menu items to be immediately available in a traditional navigation menu. Innovation is important, but only if it makes the user experience less complicated, not more. Though we already lauded Umpqua’s sparse design — intentionality with content is good — sometimes Umpqua’s site errs on the side of too little content. Some product pages, for instance, do not include rates, which our research shows users both expect and appreciate, The information itself is sparse and sometimes requires multiple clicks to access. Again, the goal is to make everything as easy as possible for the users, so making them work to find the information they need is not helpful. Another fine line! Yes, we cited the use of white space as part of the clean design, but there are some areas of the site where the white space lacks a clear purpose, like directing the eye to specific content. This is especially apparent on mobile, where we can see full screens with almost no content at all. Mobile users in particular are looking for information fast and at their fingertips, so empty screens are a waste of valuable space, visitor attention, and the time it takes to keep scrolling. Zero in on how your target audience communicates. Look at other companies popular in your market that are not financial institutions, check out their websites and social media, and make notes about the tone and type of content that resonate with your audience. Visit three “buried” pages on your site, the ones that take a couple clicks to get to. Is the tone there consistent with your top-level pages? If not, update the copy to reflect your brand’s voice and personality. Review your website with a critical eye—do pages have an overwhelming number of choices? What information is the most important for viewers to see? Take a screenshot (we love the Full Page Screen Capture extension for Chrome), print it out, and take a red pen to it—see how simple you can make the content while still communicating the essentials. If you’re looking to take a bigger step, talk to us about a website redesign!